Mains supply N/A. Power derived from the AL8 fused cigarette lighter power adaptor supplied. Auxiliary inputs 1 x 3.5mm remote mic. socket; 1 x line. Controls Mic. level; line level; loop drive, metal compensation. Construction & finish Black metal; blue label. 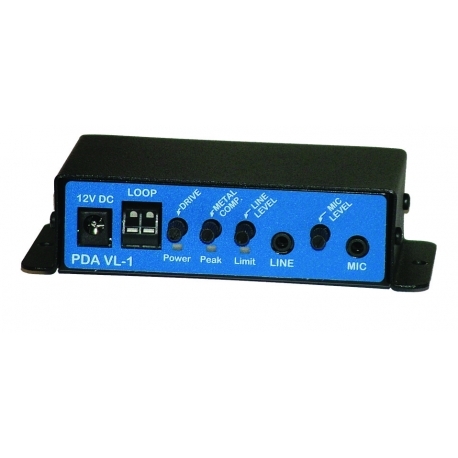 Kit contents VL1 1.2m2 vehicle induction loop amplifier; TX2 pre-formed counter loop; AMT microphone; AL8 fused cigarette lighter power adaptor; AFILS fitted sticker.